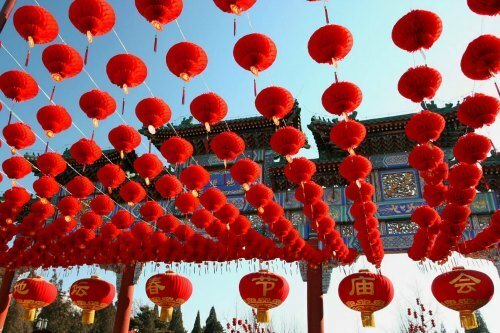 Two long-standing traditions of the Chinese New Year festivities take place in Beijing every year, colorful and lively Temple Fairs and bright and noisy Firecrackers. 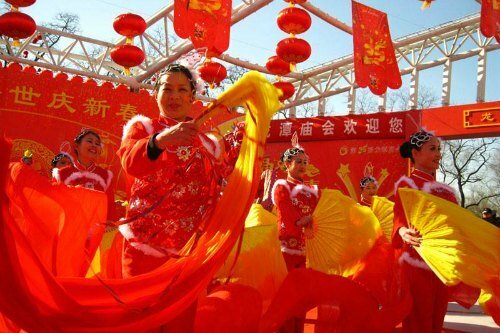 There is lots happening during the celebrations which take place throughout the city. 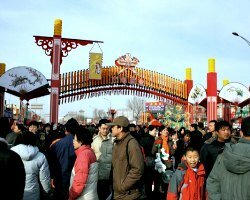 The festive atmosphere permeates all through town but the best places to get the full dose of the Spring Festival celebrations in Beijing is at the many Temple Fairs. These are week-long affairs and a "must" for locals with many starting on New Year's eve or the first day of the New Year and running for the next few days. 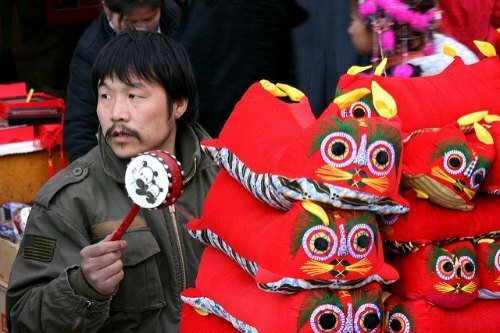 Word of advice, temple fairs get extremely crowded, specially on New Year's Day, or the first day of the New Year. If you don't like crowds and specially if you are travelling with small kids, avoid visiting on this day. Some subway stations may be closed as a means for crowd control near some of the most popular temples. For a stress-free visit, consider a private tour that includes pick-up and drop-off at your hotel, visit to the temple fairs, hot pot dinner, and a private guide for a personalized experience. Here are some options. Ditan Park or Temple of Earth is where Ming and Qing rulers performed sacrifices to the God of Earth during the summer solstice for blessings. 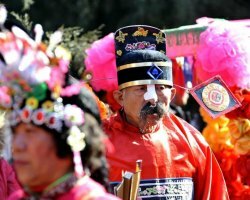 One of the highlights of the Ditan Temple Fair is a reenacment of this ritual and is a very colorful ceremony. 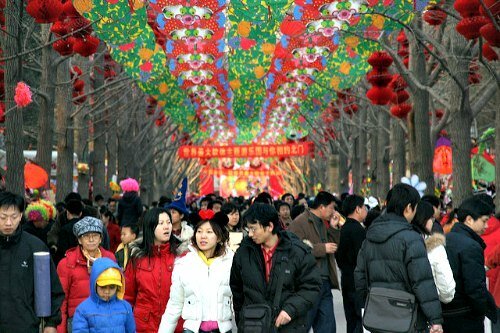 Try to avoid visiting on New Year's Day when the crowds are at their peak. 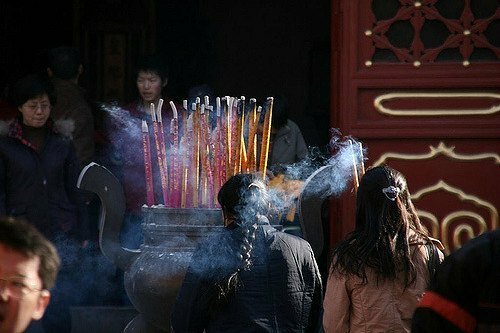 Where: Ditan Park (Temple of Earth) at Andingmen Outer Street, Dongcheng District. Take subway line 2 to Yonghegong Station, Exit A and follow the crowds. This is the station for the Lama Temple as well. This station might be closed on New Year's Day for crowd control measures, try to avoid coming on this day to avoid the largest crowds. 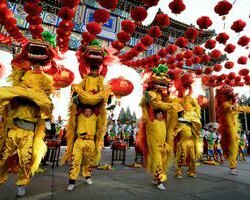 The Changdian temple fair, one of the oldest ones, historically took place near Liulichang in Beijing's former Xuanwu District. 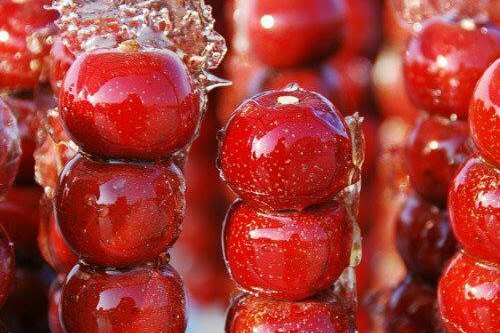 It has moved to Taoranting Park in Xicheng District and remains one of the most popular ones. Where: Taoranting Park at 19 Taiping Street, Xicheng District. Take subway line 4 to Taoranting Station, Exit C and follow the crowds. 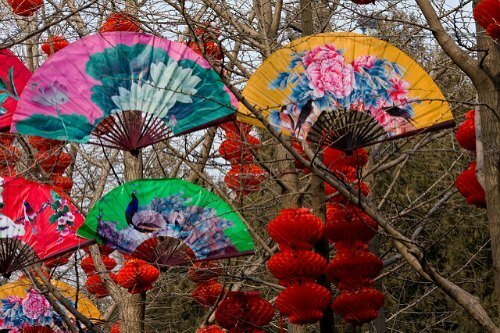 If you happen to be in Beijing from February 5 to 9, 2019, don't miss out this fun cultural event! And this tour makes it easy and takes care of all the arrangements for you. 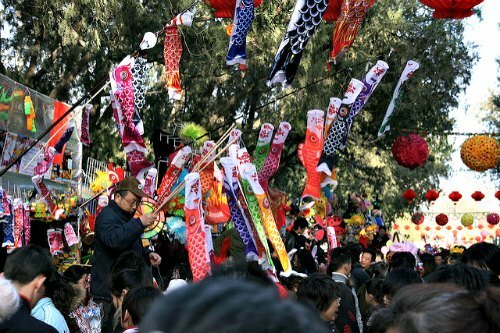 During this 7-hour private tour, you will visit beautiful White Cloud Temple and one of the famous Temple Fairs, Longtan or Ditan Temple Fair, where you will be surrounded by the lively atmosphere of Spring Festival! To end the day, a traditional style hot pot lunch is included, another favorite tradition to celebrate the New Year. 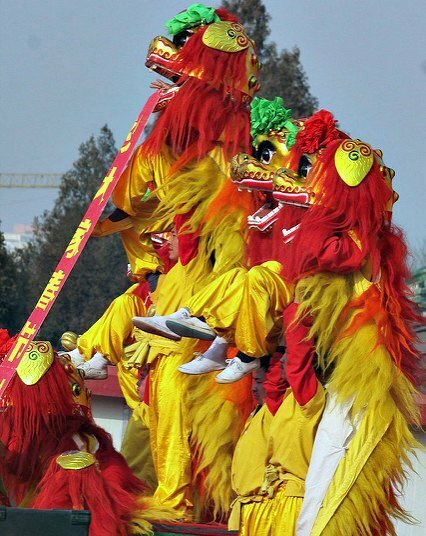 Fireworks have traditionally been part of all Chinese celebrations. Lately, though, due to the high levels of pollution the scope of the pyrotechnic displays has substantially been reduced or replaced by laser and LED displays. It is nonetheless quite a spectacle with not only the government but also all the locals lighting up the skyes during the holiday. When: Fireworks and firecrackers last the entire week, the "main" barrage comes at midnight on New Year's Eve, February 4, 2019. 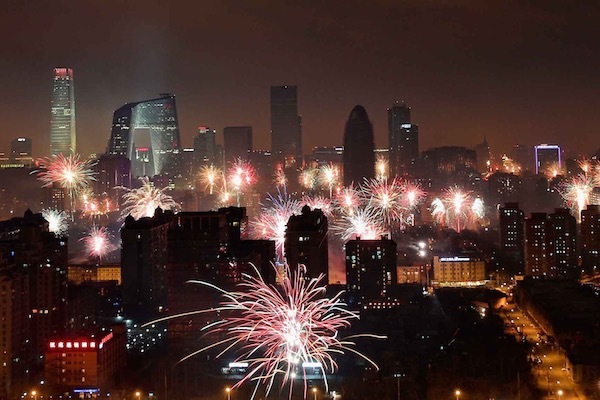 Please note that for 2019, the Beijing authorities are enforcing a strict fireworks and firecracker ban within the city's central areas. Where: There is no specific vantage point, you can watch from anywhere in the city, try to get up high to see the entire city explode, or walk around and look for open spaces. 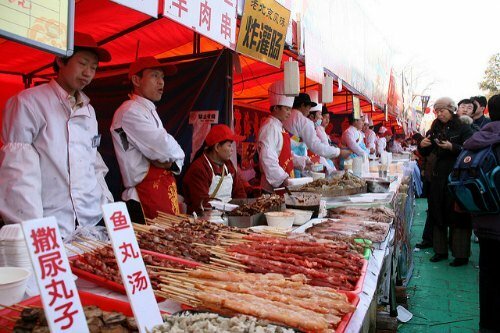 p>If you are joining in, you can buy firecrackers all throughout the city in the small red-colored stalls but watch out for local ordinances that might be in effect. In 2019 as in previous years, sales of firecrackers are reduced. 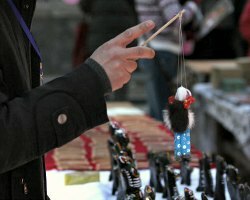 Sales normally start a couple of weeks before the new year and areas within the Second Ring are banned for distribution.